It's no secret that I love a good sketch. 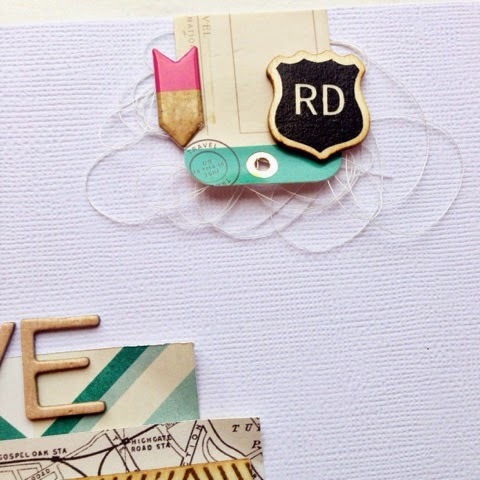 I was really excited to see the sketch that Scrapbook Circle posted on Friday. I couldn't want to get started. I used Crate Paper's Journey line for the layout my boy. 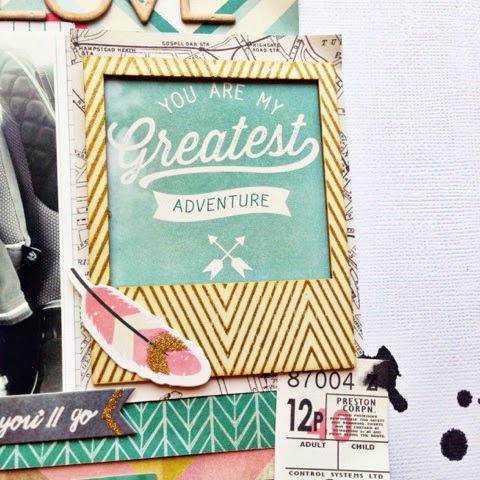 As soon as I saw the "you are my greatest adventure" card, I knew it would be perfect for an Andy layout. I cut it down a bit to fit inside the wood veneer frame. I layered a bunch of papers from the line under my photo and the frame. I then added some bits from the ephemera pack around them. I added some thread under the tag at the top and love the added dimension. I had so much fun doing this sketch. 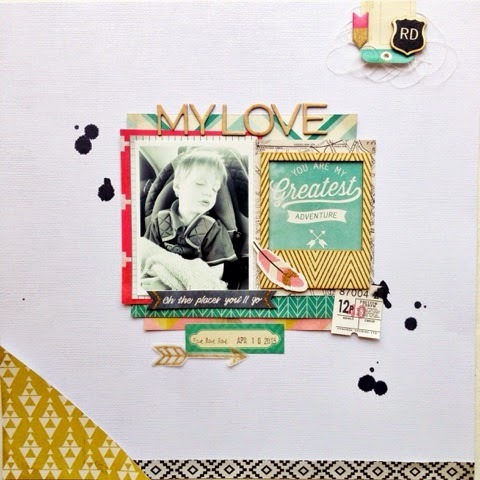 Thanks for the inspiration Scrapbook Circle!